PCE164P-N03 from here (India), delivered in 5 days. Let's get started now , shall we? 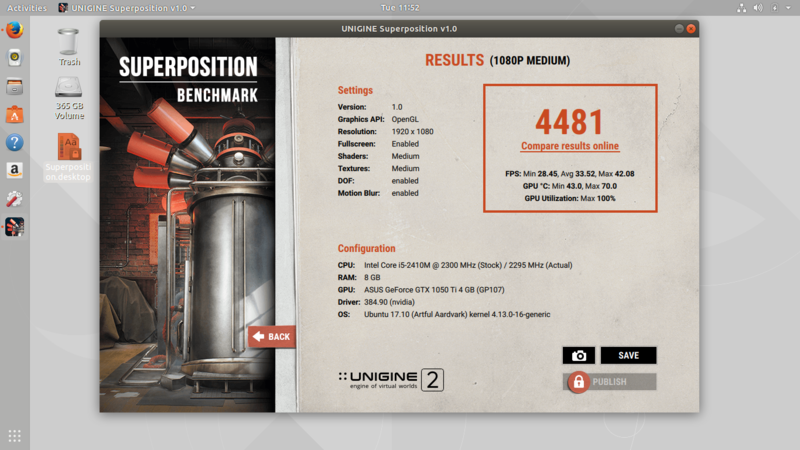 I was skeptical about my eGPU setup with 1050ti and was afraid of the dreaded code 43. But i found a neat solution for it which is documented in the process. The basis of this setup is along the lines of this guide, thanks to TheGermanGuy for it got detected in WWAN slot. TIP : Always ensure, that when rebooting that the USB TYPE-A is unplugged from adapter. The laptop doesn't reboot with it plugged in for me, it shows a blank screen. The same must be followed even while powering up, connect USB TYPE-A to the adapter only after you see Dell logo. Otherwise you'd always get a blank screen and the only way to get out of that is to press and hold power button. Short the atx power cable's green and black wire. Plug the mini-B type into the mpcie end and shove it up the wwan slot and screw it in firmly, I used a screw from beneath the optical drive, if you happen to have a spare screw , use that. No need to remove your wifi card and loose the precious intel wireless connectivity. Don't yet plug in the usb type-A end of the cord into the adapter. Obtain a suitable tested and working modded bios from here. Choose appropriately, if you have 525m or 540m, a wrong one might corrupt the bios and brick your laptop. It is recoverable but its a painful process. Install the bios. Enter the modded bios that you installed in the first step. Advanced >> South Bridge Configuration >> SB PCI Express config >> PCI Express Root Port 1 >> Hotplug = Enable. Save Bios settings and reboot. Remove all existing drivers with DDU. Install eGPU Setup 1.35 obtained from nando and install it following the steps given in the reply mail. Perform a dsdt override by getting this file and follow this post to perform a dsdt override. Don't connect USB TYPE-A to adapter yet. Power on the laptop, when dell logo shows up, connect USB TYPE-A to adapter. Now select and boot into setup 1.35. Test run chainloader and select mbr in options FOR NOW and boot into windows 7. With help of nando, I've managed to configure my startup.bat such that it checks if eGPU is found or not, if not found, it uses dGPU 525m and boots into windows 7, if found it switches off dGPU, and activates eGPU and displays on monitor. :: waits for 10 seconds to detect eGPU i.e., if plugged in. Reboot, disconnect USB TYPE-A adapter while its rebooting. Don't yet plug in the hdmi[mpcie] to beast. It should automatically boot into windows 7 using dGPU 525m. After we're in , clean install version 375.70 drivers and reboot. This time, when the dell logo appears, plug in theUSB TYPE-A to the adapter and let it detect the card and once we're in, again clean install 375.70, it will ask you to reboot and will continue install after a reboot. (reboot similar to the previous step). USB TYPE-A : disconnected when system began to shut down, connect it when dell logo appears on final start. It should work, if it doesn't , well, you gotta do what you gotta do, repeat! Many many thanks to Nando and all the other members of this forum which encouraged me to invest into buying the adapter and a gpu. On XPS motherboard there are 2 mPCI-e slots. What is mandatory to use this laptop as eGPU is to have something plugged into the mPCI-e slot at boot, i.e the wifi card. It mean you can use your wifi and your eGPU at the same time. In my case with my old XPS, i could run the eGPU and the wifi card together with no issue. 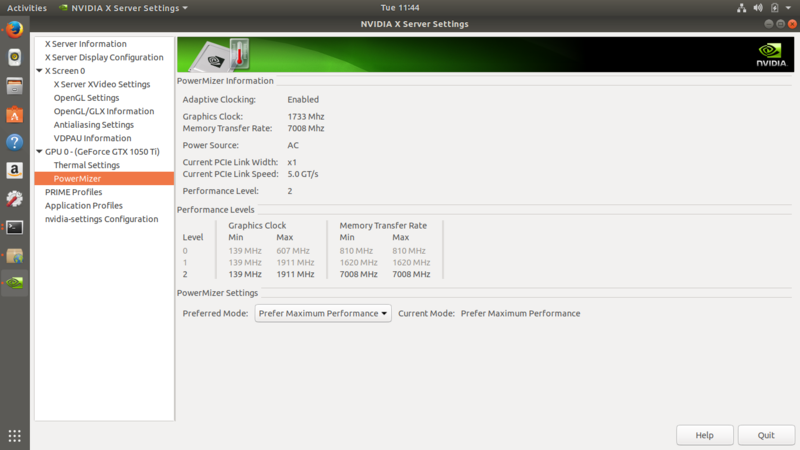 I just want to report my findings for those keen on eGPU with mPCIe setup on an ubuntu system. I've an XPS l502x and have successfully paired a 1050 Ti with windows 10 and nando's setup 1.35. 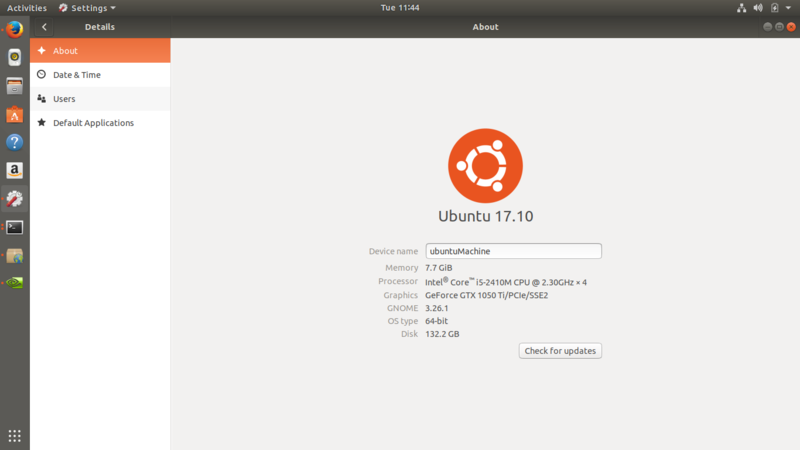 I thought why not try ubuntu? So I set out on the plan and it worked flawlessly! 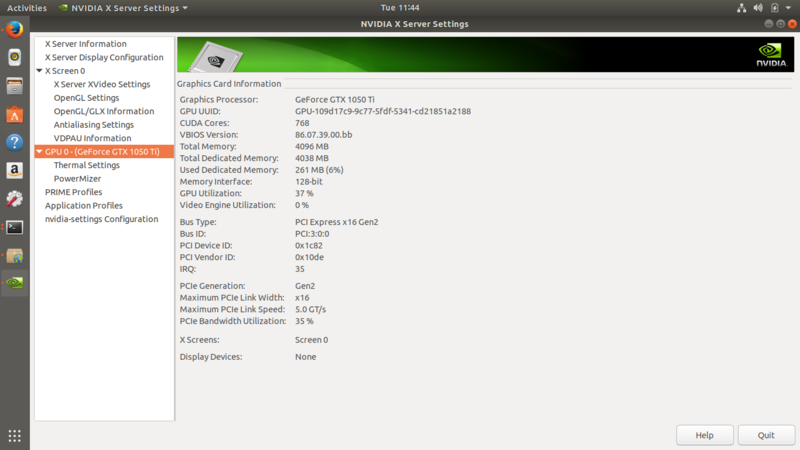 Install proprietary set 384.90 from additional drivers for dGPU and reboot into ubuntu to verify it works with dGPU. reboot into windows, run setup-disk-image-linux executable. add a custom grub menu entry to /boot/grub/grub.cfg as mentioned in the prompt. leave the startup.bat as it was for windows, don't make any change to it. power on, when in grub menu plug in mpcie-hdmi cable to gdc beast dock and select DIY eGPU setup in grub bootloader. obs: sorry my english dudes, i don't speak english very well, i'from brazil.